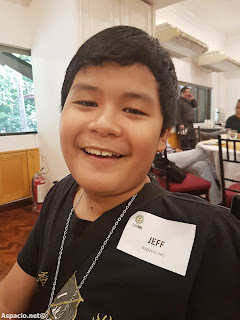 Last Tuesday, me and my mom went to the Makati Sports Club to attend Philippine Tennis Summit , an event hosted by the Philippine Tennis Association, also known as PHILTA and and sponsored by Cebuana Lhuillier. 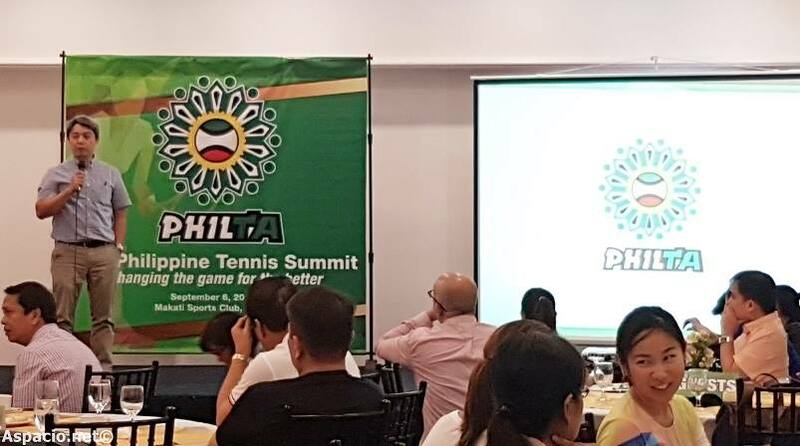 Deciding to reform the PHILTA, Randy Villanueva, PHILTA's acting president, organized the Philippine Tennis Summit that gathered local stakeholders of tennis and media to discuss the current state of the association and identified action plans towards PHILTA's improvement. During the Philippine Tennis Summit on September 6, stakeholders, including tennis coaches, players, parents, sponsors, regional representatives and PhilTA officials, among others, along with members of the media, gathered at the Makati Sports Club where issues on Philippine tennis were brought forth. Villanueva, one of the individuals who leaded the gathering, presented the current state of Philippine tennis, citing the need to improve the country’s standing in international competitions, increase the number of tennis players in the country, and attract them to become members of the national tennis association that represents the International Tennis Federation in the Philippines, among others. Villanueva laid down the plans for Philippine Tennis Association, identifying a strategy that starts with changes within the existing organization, followed by achievements that will create funding and resources, enable extensive training programs, and make way for a consistent supply of elite Filipino tennis players before reaching the ultimate goal of becoming an international tennis association. He elaborated that for him to consider the vision of becoming an international tennis association, the country should have at least two Olympians, at least two players in the top 100 of the ATP & WTA rankings, four junior players in the Top 100 of the ITF boys’ and girls’ categories, qualify for the Fed Cup World Group, and qualify for the Davis Cup World, all by the year 2024. Which is around 8 years from now. I am quite impressed by his notions. When this project is done, I might consider playing tennis. He stressed that to be able to achieve all of these, there’s a need to augment the current set-up of the current national tennis association to make way for positive changes specifically in making Philippine tennis inclusive to many. This will pave the way for more active memberships from tennis players, increase in pool of talents, and make the association more sustainable in terms of funding. “There’s really a need to amend the organization if we are to become a world-class association. The association right now is being run by just 12 people who do not represent any Philippine tennis stakeholders, region or clubs." I was very surprised by the small number of people running the PHILTA. "I think it’s very important that we make it more inclusive to everyone and encourage more participation from the whole Philippine tennis community,” said Villanueva. One of those elated to hear Villanueva’s vision for Philippine tennis is sports patron and PhilTA chairman of the board, Jean Henri Lhuillier. “It’s refreshing to have this Philippine Tennis Summit and hear the great plans of Villanueva to move forward Philippine tennis. As always, I’ll be here to support in whatever capacity I can to bring to fruition PhilTA’s plans,” said Lhuillier. During the summit, Villanueva also advised that he initiated the event in an effort to uplift Philippine tennis and clarifies that he does not have any plans to gun for the presidency in the organization’s next election and is just happy to be able to lay down the work for whoever will succeed him. I entered the event as a representative of my dad, so I'm wearing my dad's name tag. My name is not Jeff, don't worry. As I said awhile back, these changes to PHILTA are making me consider starting to play tennis. For they'll be training kids too, not just adults.